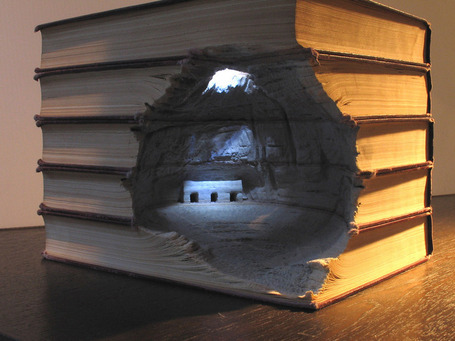 via Holly Senn – installation art, sculpture, conceptual art. 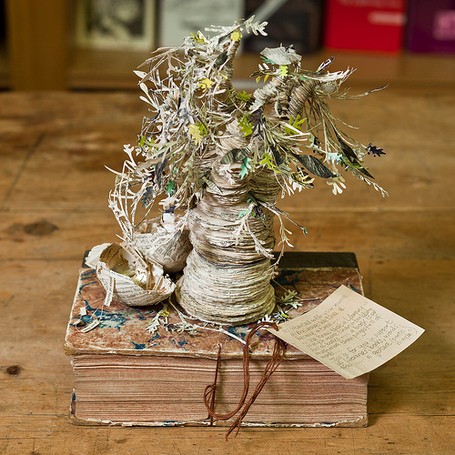 Senn is known for these sculptures and installations created from discarded library books. 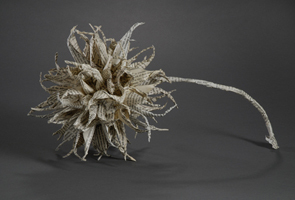 Through forms like the chestnut burr above, her art represents how ideas are generated and dispersed, or through the transformation of books into empty hornets’ nests, how they are abandoned and forgotten. 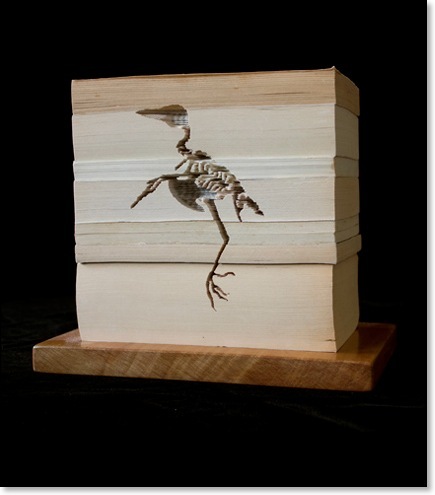 or the mystery Edinburgh book artist do?